At Adams Farm Dental we are devoted to creating a relaxed atmosphere for our patients. That is why Dr. Jones has gone on to do further training so that he may offer sedation dentistry services to his patients. We understand that going to the dentist can be an overwhelming experience at times. That is why we offer our sedation dentistry services. For patients who prefer not to be stuck we offer oral sedation so that procedures can be done without any pain whatsoever. All you have to do is close your eyes, go to sleep, and the staff here at Adams Farm Dental will take care of the rest. Oral sedation is offered for those patients who do not want to deal with intravenous sedation. It is a tranquil and non-invasive way to offer sedation treatments that is well liked by all who try it. All it takes is a couple of pills and you won't feel a thing. Dr. Jones is certified in sedation dentistry and his entire staff is skilled in the art of creating that comfortable atmosphere that you are looking for. The dentists here at Adams Farm Dental have been doing sedation dentistry for many years so do not worry, you are in the best of hands. 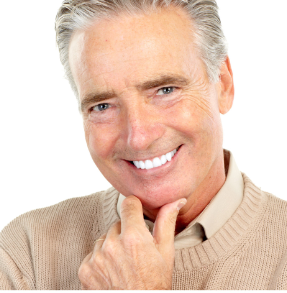 Sedation dentistry is not a common thing to find in any Greensboro dental office. We offer prices on our sedation that are reasonable and can be mediated by our Quality Dental Plan if need be. We understand that patients fear the drill and the bill and we want to accommodate you so that you can be one step closer to a better smile. Because a better smile means a better life. That is the philosophy we live by at Adams Farm Dental, and we would like to get you there. IV sedation is for those patients who want more powerful means to make sure that they are comfortable during the duration of their dental procedure. Through intravenous sedation we can deliver soothing medications directly to the blood stream in order to ensure a controlled level of lowered consciousness. This therapy is best for patients who are high anxiety and do not like the idea of being awake for dental interventions. 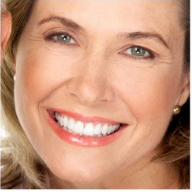 With IV sedation we can take care of you oral health in a painless and efficient fashion. During the procedure you could fall asleep while our skilled staff performs whatever dental procedure is needed to make your smile the perfect smile. Because IV sedation is tried and proven, it is necessary for a dentist to take further education after graduating dental school to become certified. Not many Greensboro dentists can offer this specific service, but Dr. Jones has achieved his certification for his patients. This is because we understand the unnerving experience of going to the dentist. All of our staff has gotten the extra certifications to ensure that this will be the best experience for the patient. If you are afraid of the bill associated with sedation dentistry do not worry. We have a Quality Dental Plan that we offer that will be able to help you afford whatever procedures you might need. At Adams Farm Dental we always put your oral health, and your smile first. Do not hesitate to call and ask us for questions. Here at Adams Farm Dental we believe in sedation, we believe in our dentists, and we believe in our patients. LAUGHING GAS:​Everyone has heard of laughing gas. Laughing gas is the an inhaled sedation agent also known as Nitrous Oxide. Nitrous Oxide is used in order to achieve conscious sedation. It is used by many health practitioners such as anesthesiologists and dentists alike. Laughing gas has a relaxing capability that is able to calm the most anxious and fearful patients. This results in a level of consciousness that would be able to calmly tolerate the dental procedure for the day. It is considered a moderate sedative that would allow the patient to be conscious during the procedure. The patient is typically able to talk and interact with the dentist but is still altered enough consciously so that they are not as anxious and fearful as the dental procedure is performed. After the treatment the Nitrous Oxide flow is terminated and the drug is expelled from the systems over the course of the day. There is usually no lasting side effects due to Nitrous Oxide administration.